David Levithan is a New York Times bestselling and award-winning author of many books for teens, including Boy Meets Boy, Every Day, Nick and Norah’s Infinite Playlist (with Rachel Cohn), and Will Grayson, Will Grayson (with John Green). He is also a publisher and editorial director at Scholastic and teaches at The New School in New York. He lives in New Jersey. 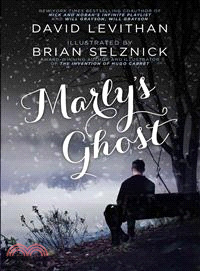 Brian Selznick graduated from Rhode Island School of Design. He has since gone on to be an award-winning author-illustrator of many books for children, including The Invention of Hugo Cabret, which won the Caldecott Medal in 2008 and was adapted into the Academy Award-winning film Hugo (directed by Martin Scorsese) and the New York Times bestseller Wonderstruck. Brian lives in Brooklyn, New York, and San Diego, California.